Incorporating technology into business operations can be a challenge, because technology is always on the move, and many businesses simply can’t keep up. 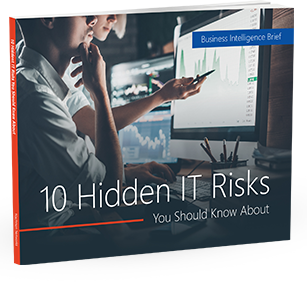 Small businesses often put their faith in a single IT guy to look after their tech needs but, chances are, he won’t have the time or expertise to be able to deal with wide ranging issues. As a result, many businesses look to Managed Services Providers (MSPs) to provide IT services and handle all IT issues. Managed Services Providers boast a range of capabilities. They create IT options and provide solutions to facilitate businesses in their everyday activities. Simply put, a Managed Services Provider is your IT department, and they are experts at what they do. MSPs perform IT-related tasks to your exacting requirements, whether it’s installing software, virtualizing data, or other complex duties. Best of all, because they are taking care of your IT systems, you have more free time to focus on your business. You can only achieve optimum IT results by selecting the right Managed Services Provider – preferably one that can demonstrate competency and consistency. Here are some criteria to keep in mind when choosing an MSP. Depth of skills and experience – Any Managed Services Provider should, at the very least, have skills that go beyond basic software installation, maintenance and upgrades. Your business will likely need some advanced IT functions, such as database management, virtualization, cloud technology, security, and cross-platform integration. An MSP should have strong expertise in these models in order to meet the expectations and needs of your company. Consistent global service – In addition to the services provided, MSPs should have global service capabilities. These include the ability to manage IT systems in multiple countries, local language support for foreign subsidiaries, and IT implementation in new locations. Businesses can expand globally with an MSP’s global service offering. Broad range of services – The IT needs of businesses are continually changing, and MSPs tend to provide a suite of managed services to respond to these changes. This could mean anything from updates to software, security patches, antivirus and firewall protection, or even new compliance measures. Make sure that such services can be delivered without additional costs. Financial stability and reputation – A Managed Services Provider’s length of time in the market doesn’t guarantee their longevity. Do your research into a potential MSP’s annual reports and financial statements. Also ask the MSP to provide evidence of their reputation by way of customer references and testimonials. Choosing the right Managed Services Provider is a very important step that will impact on your business’s performance and success. If you want to learn how MSPs can support your business, contact us today.